Polymax double sided tape can be used for the installation of our matting and flooring products temporarily. It can also be used as a guide when laying flooring out before using adhesive for a permanent installation. Popular with GALAXY and CIRCA users, the tape can provide strong adhesion between the product and floor to ensure it lays flat without any curling along the edges and corners. 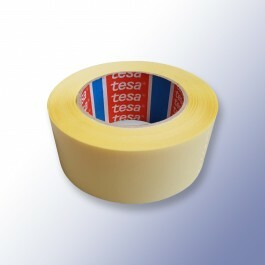 Heavier flooring products often hold themselves down, the tape can be used as an extra measure, especially when the area can be a trip hazard.